If you are a teacher using the Remind service you need to read this! You will have to share this information with your students. We’re sorry to write with a disappointing update. As you might remember from this summer, Rogers Canada was planning to charge Remind a fee that made it impossible for us to continue supporting text messaging for anyone with a Rogers wireless plan. Now, Bell Canada has decided to charge Remind a similar fee as well. Please read on for all the important details—we promise to keep this as short as we can. To offer our text messaging service free of charge, Remind has always paid for each text that users receive or send. Now, Rogers and Bell are charging us additional fees intended for companies that send spam over their networks. Remind messages aren’t spam, but our efforts to resolve the issue with the telecoms haven’t been successful. As a result, the Rogers and Bell fees increase our costs of supporting SMS in Canada to at least 25X our current cost. This isn’t financially feasible for us to support, and it’s forcing us to end Remind text messaging for everyone who has a wireless plan on the Rogers and Bell networks. Beginning January 28, 2019, people in your classes who normally get Remind texts will no longer receive your messages if they have wireless plans with Rogers, Bell, or their respective subsidiaries. To make sure people in your classes continue receiving your messages, encourage them to download the mobile app or enable email notifications. Our team’s also working hard on a solution that allows your classes to continue to use Remind by text, and we’ll share more details with you before January 28. 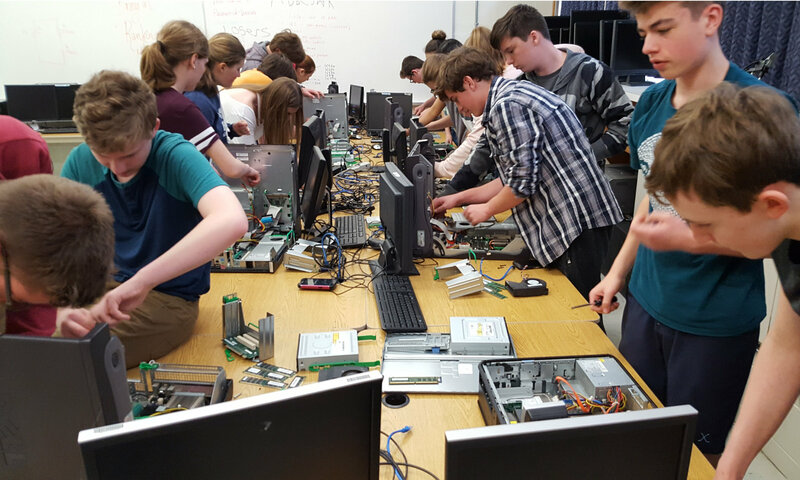 This is a last call to help complete the 2018 Technological Education Survey before you leave for summer! Thank you to all of you who participated in last year’s Technological Education Teacher survey! We have used the results of the survey to move a number of new OCTE initiatives forward and to develop an OCTE Multi-Year Plan 2018 – 2021. Here is a link to last year’s Technological Education Research Report. We have once again partnered with the Ministry of Education to continue this research, inform our new and ongoing OCTE initiatives and to create a baseline of data to measure improvements. We are asking for your help and your voice once again to complete this year’s Technological Education survey, which should take about 10 minutes to complete. Click here to complete the 2018 OCTE Technological Education Survey. Click here to complete the French version Sondage sur l’éducation technologique 2018. We appreciate your help in sharing this with other Technological Education teachers who are not here at the conference. Thank you very much! Your feedback allows us to keep OCTE relevant and addressing your current needs.